Merlot makes the press again! "Project Merlot is Dead! 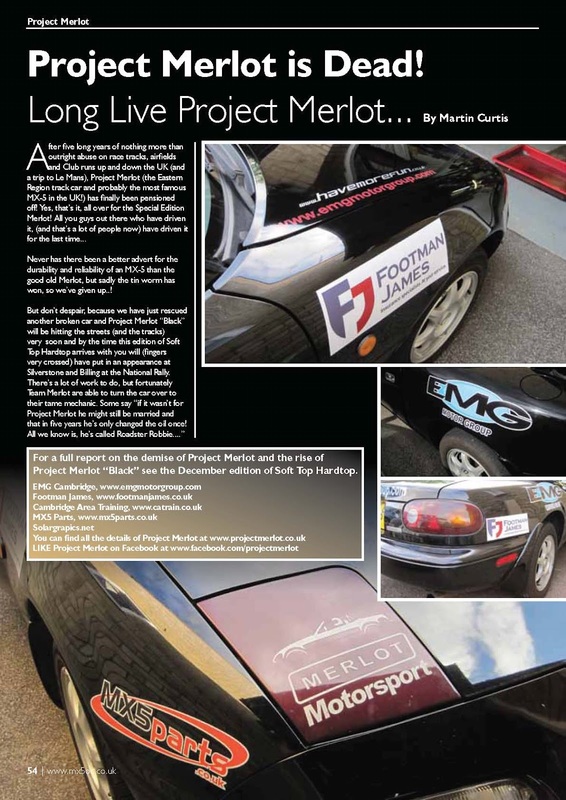 Long Live Project Merlot" reads the headline in the MX-5 Owners Club magazine, Soft Top Hardtop, October edition. And with that the news of the good old Merlot's demise and the rise of the new car was announced. Project Merlot had spent long enough at EMG Motor Group's premises and the Health and Safety people were asking questions! 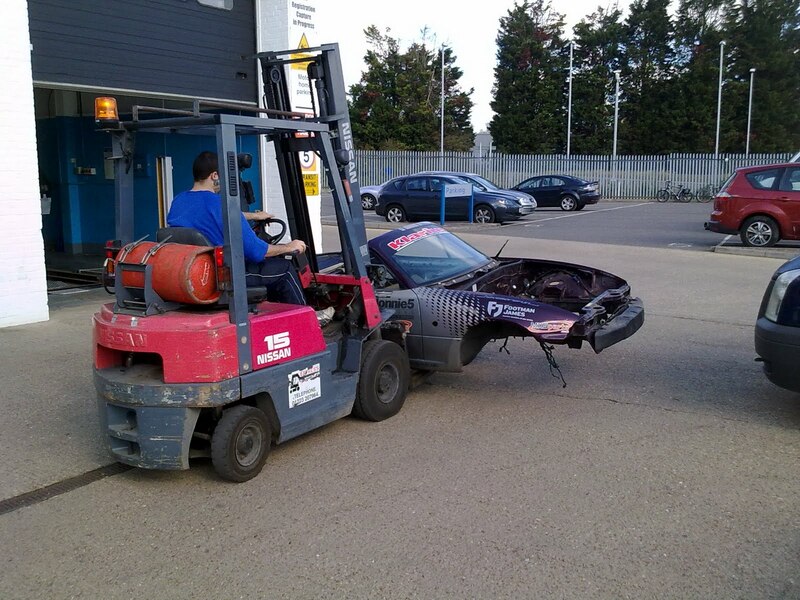 Robbie had pretty much stripped everything he wanted off the old shell so a phone call to a local scrap dealer meant the now legendary MX-5 is now well and truly a... legend! Project Merlot's remains are fork-lifted to it's final resting place before being sent for scrap. It's a testament to the car, that it left on the same flat bed truck, to see that same fate as a Ford Ka that is probably half Merlot's age. Who'd bet the Ka hasn't got anywhere near as many stories to tell or had anywhere near as much fun as Project Merlot.